Need funding fast to start or grow your business? Action offers the Rapid Loan with funding options from $300 to $8,000. This loan is for small business owners who are looking for funding to cover start-up costs, vehicle purchase, inventory, equipment, marketing or to hire employees and much more! Only available in the following California counties: Imperial, Riverside, San Diego, and San Bernardino. We’re here to help. El Clasificado Partnership. Visit our promotional partner, El Clasificado, and inquire how they can help your business marketing needs! Green Business Program. Green businesses work to conserve energy, use renewable resources, and hold themselves accountable for environmental and social impacts. Green businesses work to conserve energy, use renewable resources, and hold themselves accountable for environmental and social impacts. The Chamber’s Green Business Program helps businesses become sustainable, or “GREEN,” saving energy costs, and it strives to promote organizations that do. Participation is free and voluntary. Benefits include free or low-cost energy-saving retrofits, advertising and promotion, cost savings and learning opportunities to continue improving sustainability. The school’s Small Business Law Center (SBLC) helps underserved local businesses and supports community economic development in San Diego with no-cost legal assistance to small businesses and nonprofits in the community. Assistance is offered in: business formation, contract review and negotiation, commercial leasing, subsidized property transactions, non-profit tax exemption, permitting and licensing, and employment issues. Call (619) 961-4382 or visit www.tjsl.edu. On the first Wednesday of each month at 9 a.m., the City Manager hosts a round table Q&A forum with all city department heads. Sign up today! SCORE is a non-profit association dedicated to educating entrepreneurs and helping small businesses start, grow, and succeed. It is a resource partner with the U.S. Small Business Administration (SBA), providing workshops and opportunities to connect with experienced executives. Online workshops are also available 24/7. Designed to assist women-owned, minority-owned and other small businesses, the program can provide consulting for such things as marketing studies, advertising and promotion, web development, business plan creation and business expansion, accounting and bookkeeping, insurance, contract bidding, import-export, government programs, time management, human resources and a variety of other areas. To learn more, call (619)594-3950. Although the state’s Enterprise Zone program was terminated Jan. 1, 2014, certain tax credits for hiring employees in the past, and for the purchase and use of equipment in the past, will carry forward. Available credits must be claimed prior to Jan. 1, 2015. When a person decides to start a business, it can be an exciting and overwhelming time. Like any new endeavor, people are often anxious to get started, but this can cause them to skip steps such as creating a business plan, which is vital to their success. A business plan is a carefully thought-out document that describes a business, its goals, and how one plans to achieve them. Learn more! No small business owner knows it all, and no small business owner can generate all the tools in-house that they need to succeed. 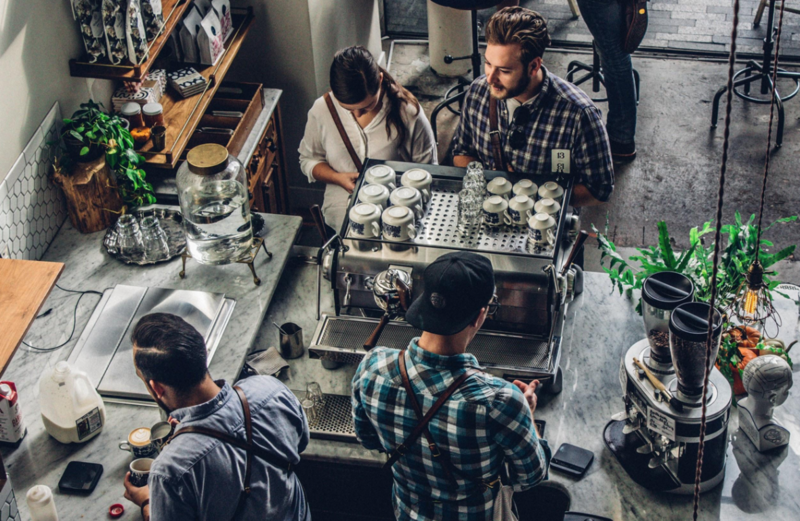 There are plenty of free and paid services out there that small business owners need to know about, as they can boost your customer satisfaction, increase your popularity, and make your essential business operations run more smoothly. All of this will not only better your bottom line but will set you up to grow. Here are some essentials. Although Facebook, Twitter, Instagram and other forms of social media are trendy (and yes, actually important), email is still king when it comes to reaching your target customers. As WPBeginner.com explains, “email marketing is one of the most cost-effective marketing tools. It is easy to manage, gives you full control and allows you to establish direct contact with your customers.” In fact, some studies have found that some businesses can actually earn up to $44 for every $1spent on email marketing. Services like ConstantContact, GetResponse, and MailChimp offer free and paid services to get you started. You’ll want to automate this, as manual email marketing will only get more time-consuming as your customer or client base increases. You can’t respond to customer criticisms and concerns or amplify customer praise if you don’t know it’s happening. The vast majority of discussions about your business is going to happen online, and one of the only ways to know every single time someone talks about your business (good or bad) is to set up free Google alerts. This will help you manage your online reputationand ensure that potential customers are seeing what you want them to see about your business. If your payment or point-of-sale systemis out-of-date, you are not only making your business run less efficiently, but you’re possibly missing out on revenue. You should consider a good all-in-one credit cardsystem, complete with onboard security features, NFC (touch payment) compatibility, and the ability to print receipts right from the terminal. For online payment, make sure that your business accepts as many forms of payment as possible. This should include Apple Pay, Google, Pay, PayPal, Amazon Payments, and many more. Being versatile when it comes to in-store and online payments will ensure you never miss out on sales because of transactional difficulties. How are you going to find out what your business is doing wrong and what it’s doing right if you never ask your customers? Sure, you could ask them face-to-face (if you even have a brick-and-mortar shop), offer a link for feedback on their receipt or in an email, or simply wait for them to review you online. However, this is far from proactive. Instead, consider services that allow you to conduct in-depth surveys, which will give you the knowledge to improve your business. Zoho, Checkbox, and SurveyMonkey are some top optionsin this space. Small business owners either spend so much time on payroll and human resources that it eats into their other responsibilities or don’t put enough effort into it and wind up making a mistake that costs them in the end. Don’t let this be you. Instead, invest in aquality online payroll service. It’s worth the cost in peace of mind alone. Don’t be stubborn — you simply can’t handle every aspect of your business all yourself (and you certainly wouldn’t want to). Each small business service you employ gives you just a little more freedom to run your business the way you truly want to run it.